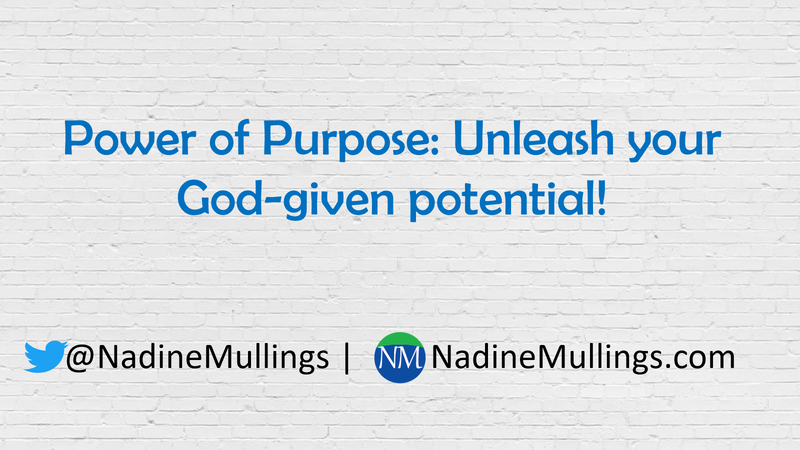 Power of Purpose: Unleash your God-given potential! Welcome back for part 2 of my discussion with Tasha McDonald Scott. In the last blog, I discussed the power of purpose and Permission to live a limitless life! This week I am following up with EXISTENCE. Watch the video below, or read the post to learn ways to maximize your existence and unleash your potential. It’s necessary to remind ourselves of why we are here; this helps us to Maximize Our Existence. Success vs. Significance – Success is an internal or selfish idea; it’s about you. Whereas, significance is an external and unselfish idea; it’s about others. Significance speaks to legacy. God wants us to prosper so when we understand our significance we will prosper into success. Forgiveness – it is necessary to forgive others and yourself. There is much power in forgiveness because it will free you from being stuck. Ask for Help – life will humble you; asking for help is a remedy the experience. Sometimes, friends and family are not enough to help you move forward in your growth process. It can be difficult for them to help you from an objective point of view. If you’re a woman entrepreneur or business owner in Atlanta or the surrounding area, join us for the Power of Purpose Business Brunch on Friday, November 30th at 10:30 am and discover how to overcome limiting beliefs and live an intentional life of significance.